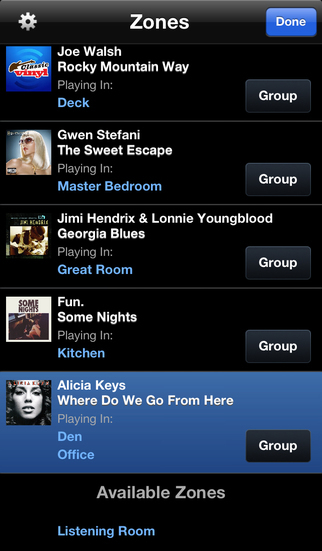 Update: A link has been added to suggest a Sonos alternative. I’ve always been one to adapt to the newest trends in whole home audio, but ever since Sonos has become a household name I feel as though I’ve been fighting it. Sonos definitely has it merits. It’s easy for any homeowner to install and even easier to use. It also has the most robust user interface I’ve ever seen. So why fight it? My primary job as a system designer is to collect a list of system requirements from my clients and to aggregate it into one simple to use control interface. Sometimes Sonos is the answer to that, but often times it is not. So the question is: To Sonos or not to Sonos? If you buy or build a home that has less than four in-ceiling speakers per room, Sonos is by in large the best solution. For each room with in-ceiling speakers you simply purchase another Sonos Connect Amp. Excluding the price of speakers, your price per zone is $500. That’s not bad at all. Sonos offers all of the relevant streaming services as well as the capability to host your own music library on a NAS drive or even personal computer. They are constantly updating their streaming sources to make sure that you continue to have the latest and greatest streaming experience. At $500/zone, this is a no brainer. If you have a room in your house with a TV and still want the Sonos streaming services and music library, Sonos still has you covered. You can connect the optical output of your TV to a Sonos Playbar and enjoy a sound quality that’s much better than the speakers built into your display. Pick up a Sonos Playbar for $699, a Sonos Sub for another $699, and a Sonos Play 1 bundle for another $398, and now you have a full surround sound system for $1,796. If you’re not a surround sound enthusiast, this is a pretty attractive offer. This scenario is what Sonos was designed to fit. If this sounds like your situation then you should go to your favorite big box store and pickup the components. In a matter of hours you can get it installed and start Sonos-ing. Sonos is, for all intents and purposes, a closed system. Once the Sonos box doesn’t neatly fit around your installation then it’s time to step out. I typically work in environments that are either large in scale or have complexity issues that need to be addressed. It’s the circumstance where my system design and project management service is most valuable. If the environment is difficult enough to require my services, then it’s usually doesn’t fit into the Sonos box, which is why it feels as though I’m always trying to fight it. 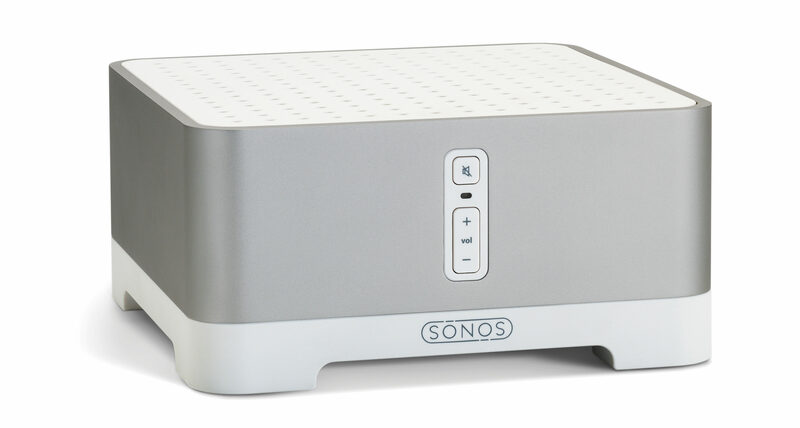 Sonos is billed as a one-size-fits-all solution, when in fact it is not. It’s a good solution when it fits, but when it doesn’t it’s like trying to push a round peg through a square hole. You might get it through, but it’s not going to be right. A noisy room? It happens. 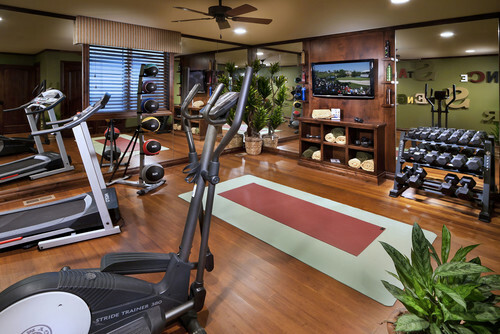 The two most commonly noisy rooms are the exercise room and master bathroom. Treadmills and other exercise equipment are almost always noisy and drown out sound, and what’s the point of master bathroom audio if you can’t listen to it while in the shower? After doing many installations, I’ve found that my clients more frequently use these rooms than any other room in the system. Let’s examine the scenario of a 25′ x 20′ exercise room with two treadmills and some bench equipment. The treadmills face a TV mounted on the opposite side of the room, and the audio requirements are for the TV sound to play through the same external speakers that streaming services are to play through. A Sonos Playbar is not a good solution in this circumstance. Although it will easily fill the audio requirements, the sound of the treadmills will drown out the sound of the soundbar because the sound of shoe hitting a rubber spring board is always going to be 5′-6′ away from your ear while the sound bar is 20′ away. This can be compensated for by turning the volume up, but lots of volume through a single small speaker will become less distinguishable as it gets louder. A Sonos Connect Amp also fails to provide a solution, and more spectacularly. Although it can play the TV volume through it’s line input, the audio will be delayed almost a second, which will create a severe lip sync issue while watching TV. Anything over an 8 millisecond delay can be irritating, and this is way beyond that. The correct solution would be to use 4 in-ceiling speakers so that at any given point in the room you are close to a speaker. The speaker will always be closer to the listener, and therefore does not need the same power output to create the same perceived volume. The issue becomes that the Sonos Connect Amp is a failed solution when watching TV, so there must be a better answer. When designing systems, I always suggest that you have one media room that’s a truly great viewing experience. In this one room, there should be truly quality surround sound. The Sonos answer to this is using a Sonos Playbar, a Sonos Wireless Subwoofer, and two Sonos Play: 1/ Play: 2 to create a 5.1 channel experience. Using any sort of soundbar, Sonos or otherwise, is never anything more but a compromise. I suggest that there’s one room in the house where you don’t compromise. This doesn’t necessarily mean spending a ton of money, but it does mean that speaker placement and selection is right on the mark. The point of surround sound is not that it’s louder, richer, more clear than stereo audio. The point is to setup a sound field to create an immersive experience for the listener. When you watch a movie, care has been taken to mix the audio so that certain level of sounds come out of different speakers at different times. For example, a scene with an airplane flying over head would cause the sound to originate in the front left of the room and travel gradually and realistically to the rear right of the room. The audio engineers that create this scene worked long and hard to achieve this effect. In a proper 5.1 system, your should be able to clearly distinguish between the left, center, and right channel speakers. When all of these speakers are built into the same 48″ soundbar the effect is almost completely lost. Why spend the money on surround sound at all if it’s not going to be good? Might as well forgo the whole idea all together. 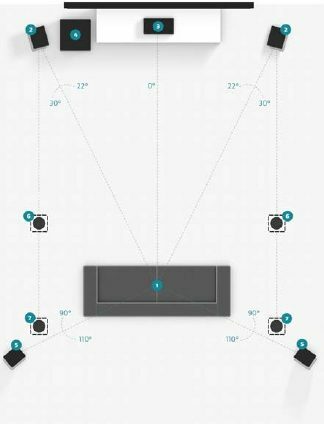 Ideally, we can space all of these speakers 5′-8′ apart from each other depending on the size of the room. There’s also the fact that 5.1 is the only surround sound format that Sonos surround sound supports. The newer, and crazy good, surround sound formats require at least 7 speakers. These surround sound formats are currently being mixed into most new movies and they are called Dobly Atmos and DTS:X. These systems only cost a little bit more than the traditional setup because newer surround sound receivers come with this built in, so the only additional expense is the extra two speakers. Considering the performance improvement, spending the extra couple hundred dollars on a pair of speakers is a no brainer. The Sonos Playbar does not meet the quality standard of my suggested one room with a quality viewing experience. Sure, you can just skip the whole home audio integration into this zone, but again, why compromise? A Sonos Connect could be used as an input to a third party surround sound receiver, but this presents complexity issues that I will later address. 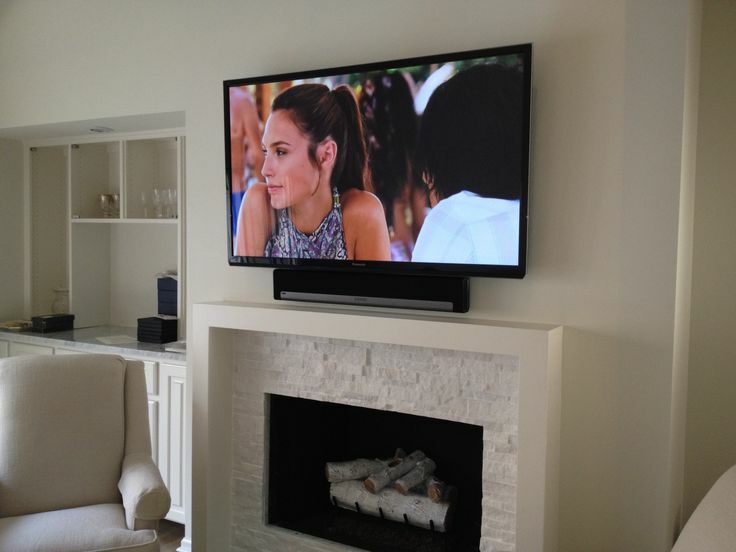 If you mount a TV above a fireplace or in another high profile area of a well designed room, adding a soundbar mounted on the wall beneath it will look forced, cluttered, unintentional, and downright ugly. Assuming this is not a surround sound environment, the speakers should be mounted in the ceiling. 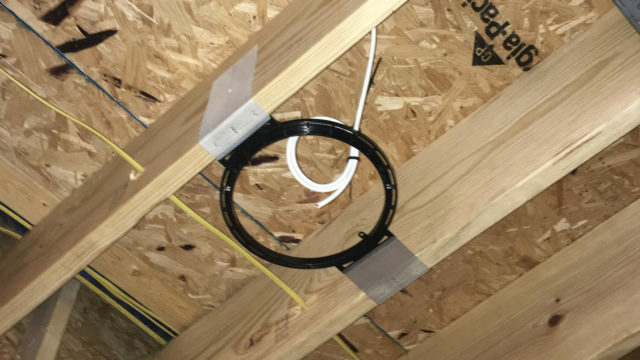 When mounting the speakers in the ceiling, you encounter the same lip sync issues while watching TV as the previous scenario involving the exercise room. The Sonos Playbar is ruled out because it is an aesthetic detraction, and the Sonos Connect Amp is ruled out because it will not come close to achieving lip sync. Sonos definitely fits this description when the installation fits within the Sonos box. However, any of ‘When not to Sonos” scenaries will cause a complexity issue that requires a work around to continue using Sonos. These are pretty common scenarios; I typically see 2-3 of them per job. This is where the value of a Sonos system starts to break down. Sonos is a great solution because it’s simple and easy to use, but once it becomes difficult then it’s only the source content that’s valuable. The source content is available using other product that would be better suited for the installation. First let’s just put it out there that there’s no good work around for the exercise room and bathroom scenario. You can skip the audio integration entirely, but who doesn’t want to listen to music in the bathroom while getting ready for an evening out? I’ve seen some pretty crazy work arounds to use Sonos in this situation, but I wouldn’t wish them on anyone. The more workable situation would be the third party surround sound system where you can use a Sonos Connect as an input to the surround sound receiver. Using a one-way remote control, you can turn the receiver to the correct input and then bust out a cell phone or tablet to start operating the Sonos system. This isn’t terrible, but it’s a two step solution that requires using two different systems to start up one song, which I do not recommend. Maybe it’s tolerable in one room, but if you run into any more complexity issues along the way then the whole situation should be addressed in a different manner. If your goal is to make your home smart, then Sonos is almost never the answer. Not because it isn’t a quality product, but because it is a closed system that does not integrate with any of the other smart subsystems in your home. By subsystems I’m referring to climate, lighting, audio, video, etc. Luckily, due to brilliant marketing strategies, there’s a Sonos-esque solution for each one of these subsystems. It’s made to sound as easy as using Nest for the thermostats, ADT Pulse for security, QSee for surveillance, Lutron Caseta for lighting, myQ for garage doors, Skybell for doorbell, Sonos for Audio, and a Harmony for remote control. This is a collection of smart devices, but it does not make a smart home. It makes it necessary to learn to use, maintain, and switch between 8 different apps just to control your home. If I ever suggested doing this it would be a quick termination of my contract. All of these smart devices should be integrated with each other, communicate, and react according to the status of other devices. For example, when you arm your security system before leaving the house, the audio/video equipment should all power off, the climate schedules should change to something more energy efficient, interior lights should be turned off, shades should close, and if it’s night time then exterior rooms should run lighting timers to make it appear as though someone’s home. If you leave the garage door open, you should receive a text message letting you know so that you can promptly close it. This is a smart home. Audio/video is an important aspect of that smart home integration. All home systems should talk to each other, including audio. This breaks the Sonos ecosystem entirely. This relates to both ease of use and smart home integration. Remote controls are without question a necessity. You can still fit within the Sonos box by using several different remotes to control the TV, audio, and video source components. You could also address the remote controls as a separate issue and purchase a Harmony one-way remote control solution. However, this goes back to having home systems talk to one another and using separate isolated systems, which prevents you from integrating your smart home systems. Touchpanels are optional, but if they are something that peaks your interest then Sonos is not the answer. 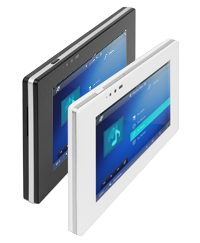 I suggest installing a couple touchpanels in central areas throughout the home so that the use of a phone/tablet to control the audio system becomes optional. All home systems are available to control at every touchpanel, creating a couple key points to control everything. Guests are also better suited to use touch panels than to download apps in order to start playing music. This is entirely optional, but it is definitely something to be considered. If not Sonos then what? If there’s one point I’m trying to stress it’s that there is no one size fits all solution. 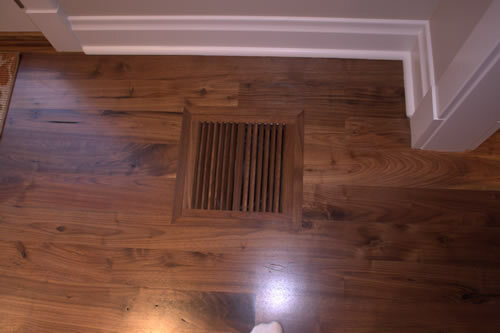 Each installation has a specific set of requirements that must be met in order to be considered successful. That list needs to be aggregated and solution applied that addresses the home as one whole unit, not a bunch of individual components. The simplest solution that meets all of the requirements is always the correct solution. If that’s Sonos, then yes, Sonos is going to be the answer. However, if presented with any of the above complexity issues, then it is not the answer. Here are some possible solutions, but remember, none of them are one size fits all. At myEasytek, we help you develop a customized solution so feel free to ask. There’s a different system that I recommend that’s more suited to tackle all of the listed complexity issues except for smart home integration. It is made by Autonomic Media Controls and it is called the “Mirage” system. It’s similar to Sonos in terms of source content. It provides a lot of the same streaming services that Sonos provides, lacking some, but provides some unique ones as well. It also has a 128GB solid state hard drive built in the unit so that you can host your own music library with no external devices or computers that are powered on. Sonos does not have this, so if you have a library of less than 10,000 songs then this might be a better option right off the bat. The app is beautiful, and I would argue that it’s better than Sonos. It’s not a reason to buy it over Sonos, but it’s a reason to not fear it being different. It addresses the issue of lip sync delay in the exercise and bathroom scenarios presented earlier. It does not buffer external audio streams that are input into it, which means that lip sync is always perfect when using the audio output of the TV. Similar to Sonos, you can use as many external sources as you have Zones. It is sold in packages that cater to the size of your system. If you have a 16 zone system and require two independent audio streams plus TV audio to be played throughout the home then your price per zone excluding speakers is $375/zone. This is considerably less than Sonos. When the system is smaller, it becomes more in line with the Sonos price because the brains of the system are more costly than the expansion of zones. Be sure to ask us about this product, and we can also tell you if it’s a good fit because as discussed there is no one size fits all solution. A home automation system is the only answer to deal with every one of the complexity issues. There is a DIY solution that I recommend. Similar to Sonos, it also creates a box to fit within, albeit the box is much larger. It deals with the most common complexity issues of Sonos, the only real limitation to it is system size. The Niles Auriel, MRC-6430, is an audio controller with basic home automation functions built in. It connects 6-12 rooms to a combined 6 audio sources including media streams and TV audio outputs. This solution also provides for climate control, light integration, and the use of remote controls. It’s a lengthy explanation but you can read about the Niles Auriel in this blog post. The Niles Auriel has an MSRP of $2099 and controls up to 6 zones, making the potential cost per zone $449. This is still less than Sonos, but since the box is now larger you can use a remote control that integrates both the audio and video, making a true one touch activation of Sonos within a zone. It removes complexity from the user experience, and adds the ability to integrate the nHR200 remote control to use with your TV gear. The gHR200 is identical hardware, and you can read about it here. A true home automation system will allow for the use of specific compartmentalized products and integrate them into one elegant solution. 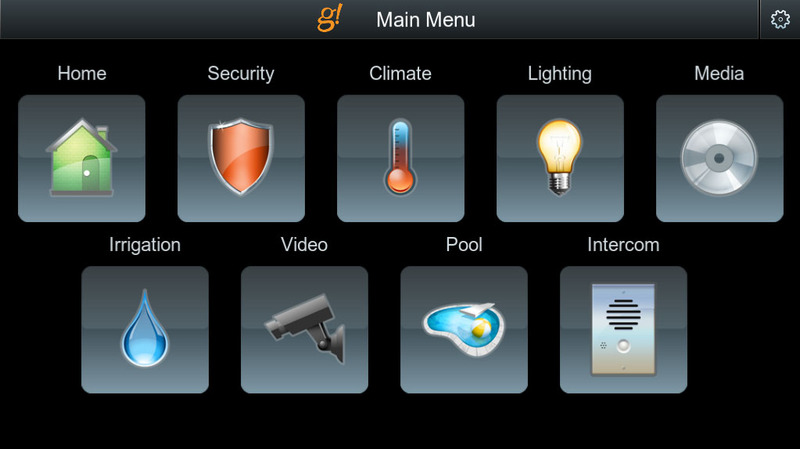 These home automation systems combine all of your homes smart systems and turns the exampled “8 apps to control your home” scenario into one single user interface to control all of your homes subsystems. It is the most robust means to take all of the complexity out of the system for the end user. The complexity is dealt with by the programmer that creates simple one button access to control anything in the home, including audio and video. These systems are generally scalable, so if your home is only dealing with audio then you are not necessarily paying more for all of the other functions. If the end result needs to be a dead simple solution, this is the surefire bet. An automation system will enable the use of an audio matrix, which is a device to which all speakers and all audio sources are connected. The audio matrix is responsible for sending the correct audio signal to the correct set of speakers. This eliminates lip sync issues and allows for any number of speakers to be connected to any number of audio sources. As for source content, the system can communicate directly to a media server that will provide streams such as Pandora, Spotify, TuneIn, etc. There is a variety of media servers to choose from, my favorite being the Autonomic Media Controls Mirage MMS-2A because it provides the most sources through the system. Still missing Sonos source content? Most home automation systems can typically open up what is normally a closed Sonos system, and import the Sonos source content so that it’s available within the home automation control interfaces. The app, touch panels, and the remotes all take feedback from the media server, Sonos or Mirage, to display a user interface that is equally as easy to use, but provides the robust architecture to deal with complexity issues on the back end. The experience for the end user is one control interface that is simple and communicates to all home subsystems. Recommended brands of home automation systems include Elan g!, Control 4, Savant, and Crestron. My automation system of choice is Elan g! because of it’s potentially lower deployment cost, easy maintenance, and it creates a repeatable, predictable, reliable result. 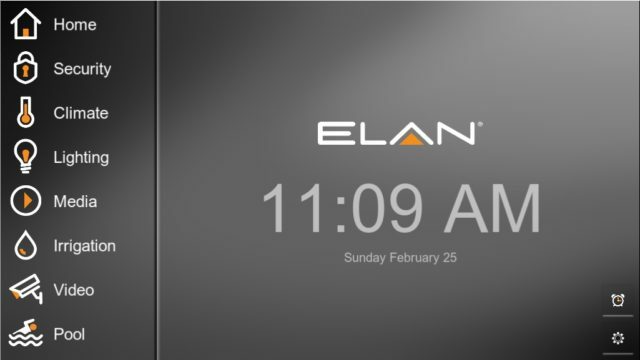 Read an overview of the Elan g! home automation system here. Yes and no. The Mirage media server comes in at a lower cost per zone than Sonos at 10 or more zones, and it’s more robust. The automation system solution is definitely more expensive. The price per zone for the actual audio equipment might come in lower than Sonos, but the higher level automation system controller adds a fair amount of cost to the solution. However, paying a bit more for something up front is usually preferable than dealing with complexity issues, quirks, and limitations year after year for the life of the system. Quality is remembered long after price is forgotten. At myEasytek, we can help design a solution customized for your project and use the lowest cost option that still provides an answer to each one of your complexity issues. We discount equipment a fair amount, and when you buy it from us the service and support come free. We ship nationwide, and help manage the installation of your project from pre-wire to final trim. We now have small systems for sale a la carte. Click Here to purchase an Elan g! system. Contact me if you have any questions about Sonos, alternative solutions, or want to talk about your project.